Wow! 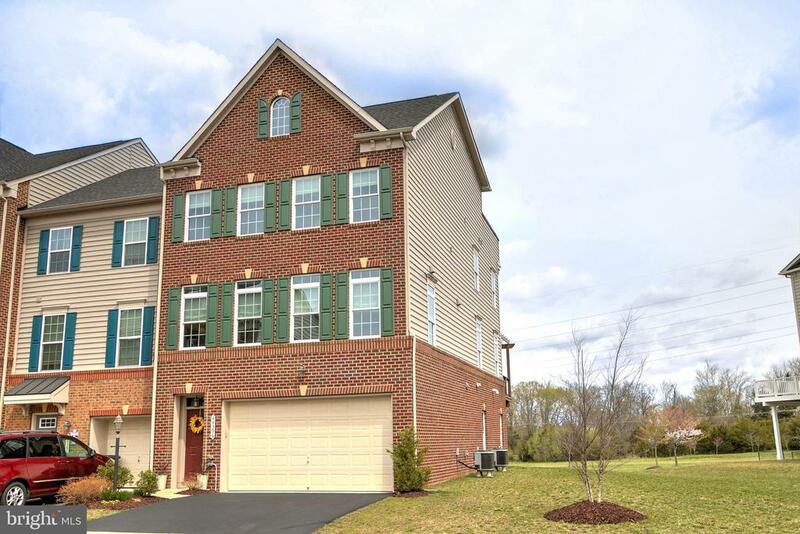 Prepare to be amazed and enchanted by this amazing 4 level townhome! This home is just 5 years old and offers 3, 825 square feet of living space PLUS a 2 car garage! There are 4 bedrooms and 4.5 baths. And it is an end unit, backing to open space, a tot lot, and trees and the W&OD Trail! It doesnt get much better than this! Some of the special features include a top of the line security system, ring doorbell, 7.1 Surround Sound speaker wiring in the recreation room, and an indoor sprinkler system. You can enjoy the outdoors from your trex deck with pergola and the lovely rooftop terrace on the 4th level! You can watch the fireworks from there! Its time to make your move! Directions: Route 28 to Gloucester Parkway, L Smith Switch Road, R Stoneyrun Place, R Hyrst Grove Terrace to 44396 Foxthom straight ahead. Exclusions: Refrigerator in garage does not convey. Speakers in basement do not convey (but surround sound wiring does convey). Inclusions: security system, 2 wall ovens, refrigerator, gas cooktop, washer, dryer, ring doorbell, shades and blinds, humidifier, indoor sprinkler system.